I am new to using 3D cancer models with patients and I wonder if patients ever become uncomfortable with the use of a model? For almost all patients, the use of an anatomical model is much less threatening than other types of graphic representations of cancer. The vast majority of people diagnosed with cancer want to learn more about the disease, and what is happening within their bodies. Having a model that is life-like, yet not graphic is very non-threatening. Often, photographs and artistic representations are more difficult for patients to review than a model. Using 3D cancer models as part of a consultation process becomes a very positive habit to develop. Using the models may help the patient to formulate questions they want to ask but weren't sure how to approach the issue. Through the model they can point or indicate they need more information about a specific issue you are discussing. This interactive component helps the patient in seeing themselves as actively involved in all aspects of the treatment recovery process. Starting out on a positive note with the patient will help communication develop over short and long term treatment plans. I am just starting out my practice and have a limited budget. Are 3D cancer models cost efficient as a way to share information with patients? 3D cancer models are some of the best investments that a doctor can make when getting started in a practice. The models are designed to be very durable and long lasting and help to take some of the drab air out of the office or examination room. The models can be left where patients can have access in the room or they can be stored conveniently in central areas of the office for inventory control. Storing the models in a display case in a central area is a good way to combine the two options. 3D cancer models are like any other type of medical supply or equipment. Buying from a reputable, high quality seller is essential to get the best quality product. Avoid buying cheap medical models to save costs. You will find they are poor quality, not accurate in their representation and simply don't last or hold up to being moved and stored. For a classroom setting how detailed should 3D cancer models be to provide maximum learning for the student? The amount of detail required on 3D cancer models often depends on the level of class you are teaching and the type of students you anticipate in the program. 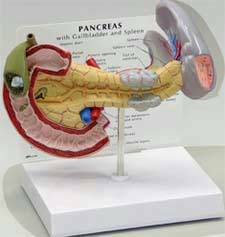 Advanced anatomy and medicine classes need highly detailed anatomy models that are correctly sized or scaled very accurately. Basic anatomy and medical classes may not require the specific detail included in some of the models but adding more detail rather than less is always a good choice. With more information students have a more complete view of the cancer and the damage it causes to tissue within the specific body part, organ or tissue.